It’s been some tough months for the three humanoids, which Japan showcased at the Shanghai Expo to demonstrate the country’s dominance in robotics. The machines, dubbed Yume Robo, have been climbing up and down a 15-meter wall at the Japanese pavilion every 20 minutes, for the last 184 days. The three-robot team, which was created by a group of engineers at 15 small and midsize companies in Osaka, returned to their hometown last week. Each Yume Robo is dressed in silver work clothes, stands 140cm tall and weighs 30kg. 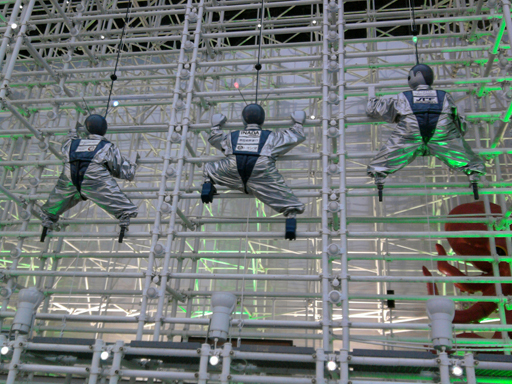 As you can see in the video embedded below, the humanoids are scaling the wall by alternately moving the hands and feet and moving their heads to the left and right.